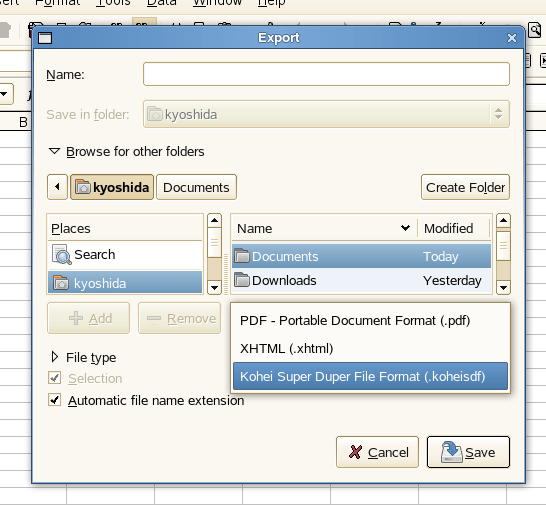 It turns out that pretending to write an export filter, at least adding a new entry to the Export dialog, is quite easy. In fact, you don’t even have to write a single line of code. Here is what to do. One note: the language pack zip package should contain the file named Filter.xcu with the new UI string you just put in. If you don’t see that, remove the whole unxlngi6.pro directory and build the module again. to replace the old one.